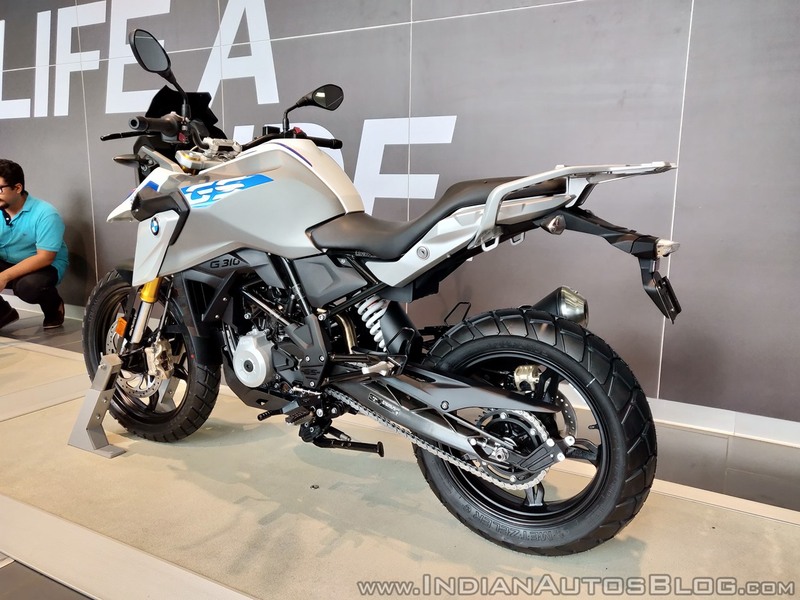 BMW Motorrad India finally launched the BMW G 310 GS in India on 18 July, priced at INR 3.49 lakh (ex-showroom Delhi). While the baby GS is an adventure motorcycle, BMW isn’t offering any official accessories for the bike. The BMW G 310 GS features a cast-aluminium rear parcel rack as standard. BMW Motorrad India is yet to launch official accessories for the motorcycle. That said, Nagpur-based Motousher is offering aftermarket accessories for the BMW G 310 GS from some of the well-known brands like Wunderlich, Hepco Becker, Scottoiler and the likes. 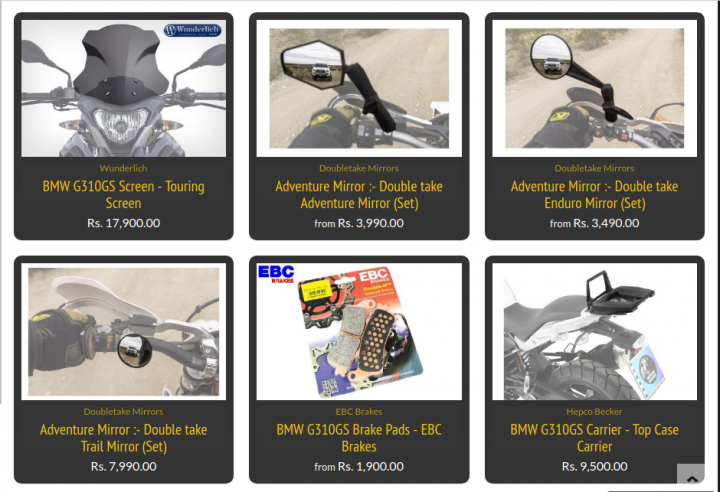 The company has revealed the prices of the accessories, and to say the least, they are premium like the BMW G 310 GS. Motousher is the official importer and distributor of these accessories in India and gets them directly from Germany and the UK. The list of accessories for the BMW G 310 GS includes a touring windscreen, rear top case rack, quick-release panniers rack, ergonomic mirror extensions, front suspension and swingarm sliders, and radiator protection guard. Other accessories include fairing safety guard, headlight protection guard, handlebar riser and enlarged brake and gear shifter levers. Motousher is also offering aftermarket high-performance EBC brake pads, clutch plates, and Barkbusters handguards. Powering the BMW G 310 GS is a 313 cc, single-cylinder, liquid-cooled, 4-valve engine with fuel injection. The motor is capable of producing 33.5 bhp of maximum power at 9,500 rpm while developing a peak torque of 28 Nm at 7,500 rpm. The engine transfers drive to the wheels via a 6-speed transmission. Anchorage comes from 300 mm front disc with 4-piston radial callipers and 240 mm rear disc with single-piston callipers. Motousher is offering a wide range of accessories for the BMW G 310 GS from brands like Wunderlich, Hepco Becker, and Scottoiler. The motorcycle comes with 41 mm upside-down front forks and a rear mono-shock with pre-load adjustability. The G 310 GS tips the weighing scales at 169.5 kg (wet) and gets a top speed of 143 kph. The G 310 GS rivals the Kawasaki Versys-X 300 and the Royal Enfield Himalayan. BMW Motorrad India has received over 1,000 bookings for the G 310 twins, while deliveries will start from next week. Here is a comprehensive list of accessories available for the BMW G 310 GS from Motousher along with its prices.